Countries people associate with windmills are of course the Netherlands, Spain and maybe Greece. But NOT Ireland. However, there are windmills in Ireland. 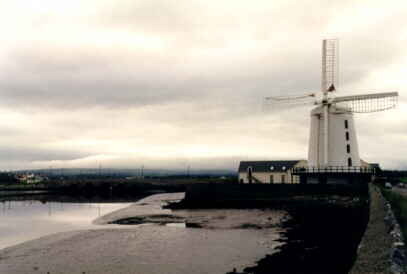 We always thought (because we read it in some stupid guidebook) there was just one windmill in Ireland, this one in Blennerville at the beginning of the Dingle Peninsula. However, Jonathan Molloy wrote us there are many: at Rush and Skerries north of Dublin, at Tacumshin near Kilmore Quay in South County Wexford and also at Ballycopeland in County Down. Thanks, Jonathan. Rainbows are not as rare as windmills in Ireland. Because of the strange Irish weather you see rainbows almost every day. But not every rainbow is as beautiful is this one. There's a very famous dolphin in the Dingle Bay, named Fungie. 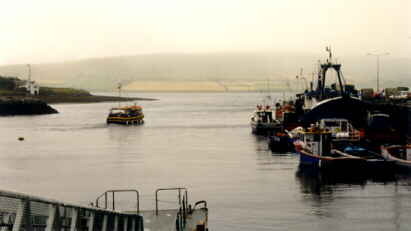 From Dingle Harbour you can take a boat trip to see him (or her ?). If you're unlucky and you don't get to see the dolphin, you'll get your money back. 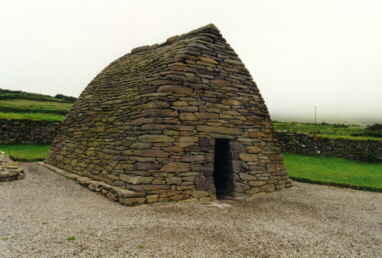 The Gallarus Oratory is one of the best conserved remains of early Irish Christianity. This little church from the 9th Century has withstood the elements since then and still looks like it has been built just yesterday. This looks just like a large door. It's fascinating what effects simple erosion by water can cause to rock. 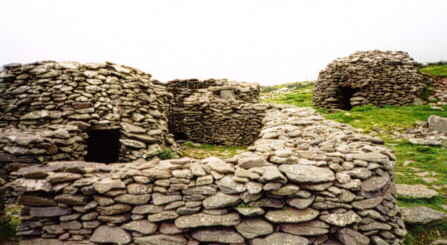 These 6th Century beehive huts are even older than the Gallarus Oratory. Unfortunately they're in less perfect condition. The Dingle Peninsula has many landscapes that just want to be photographed. 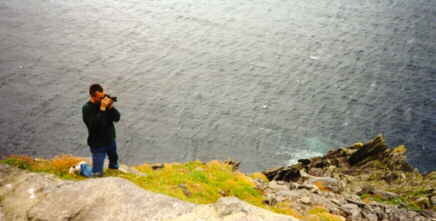 And you can see many photographers taking lots of risks, just to get a slightly better shot.